Since children differ developmentally and work at diverse speeds, the time your child should spend on homework will vary. Students should read nightly for up to 20 minutes, either independently or with a family member. We also recommend that students spend time playing and in conversation with their families every night! 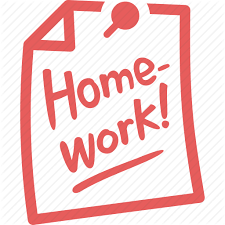 There should be regular assigned homework in this grade for no more than 45 minutes, four to five times a week. There should be regular assigned homework in these grades for no more than 60 minutes, five times a week. All Clinton students should be reading a great book every night. Please read with them when possible. Time spent reading is included in the recommended timings noted above. If you have any questions or concerns regarding assignments, please contact your child’s teacher.